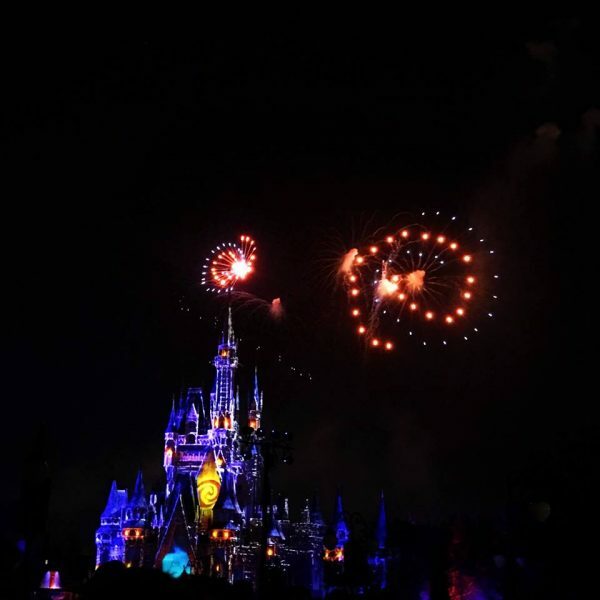 The fireworks at the Magic Kingdom have always been some of the best nighttime entertainment options available at Disney World, and the new Happily Ever After fireworks are no exception. You used to be able to catch the old Wishes fireworks show from lots of places, including the front of the park or outside the park, and still have a great view which made the Fireworks Dessert Party at Tomorrowland Terrace not such a great value. With the new show, however, projections are a much larger part so being close enough to see those but far enough back to see the fireworks is the only way to catch all elements of the show, making the party and its prime viewing locations a much better value. The parties aren't cheap, but for people who want the best view with the least amount of stress, they're pretty ideal. What is the Fireworks Dessert Party at Tomorrowland Terrace and where is it located? What are the differences between the three party options? Which party would you recommend? How is the view from the Garden Plaza View location? 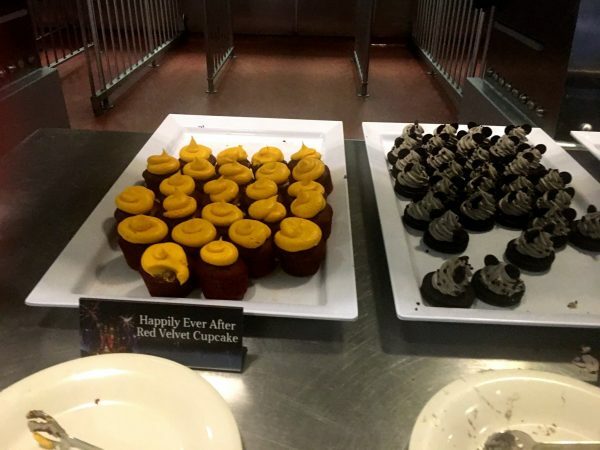 Is the Fireworks Dessert Party at Tomorrowland Terrace worth it? Though it doesn’t offer the best drinks and desserts of all the dessert parties, this party does offer a viewing area for the fireworks which will provide a perfect view of the show and keep you from having to fight the dense crowds. The Fireworks Dessert Party at Tomorrowland Terrace is a premium event offered at the Magic Kingdom. 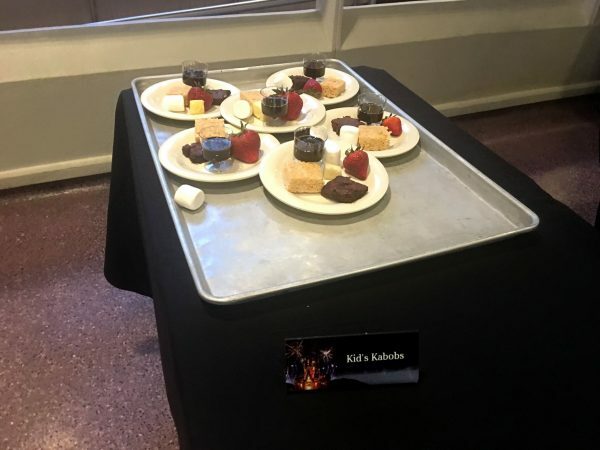 Guests that book the party are first treated to a wide selection of desserts and drinks (non-alcoholic only) either before or after they view the nightly fireworks show from one of 2 reserved areas. 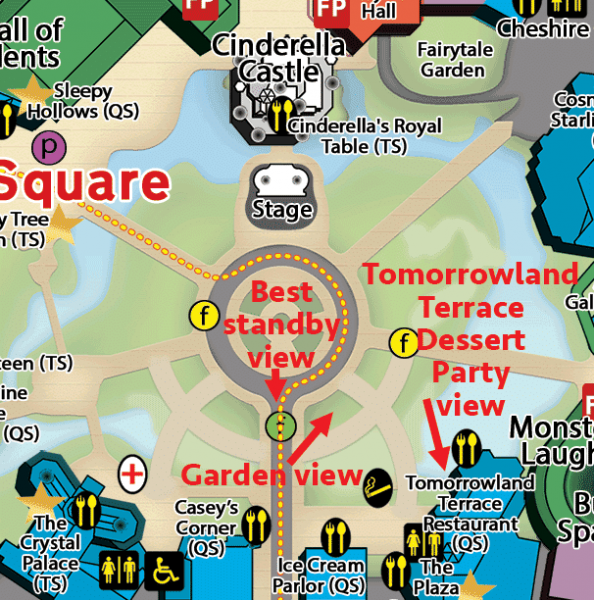 The dessert party portion of the event takes place at the Tomorrowland Terrace Restaurant (label number 5 on the map below) which is used for lunch during the day most of the time, and then used for the fireworks dessert party in the evenings. There are 3 different options that guests can choose when booking: the regular Fireworks Dessert Party at Tomorrowland Terrace, the Fireworks Dessert Party with Garden Plaza Viewing, and the After Fireworks Dessert Party. Fireworks view: As the time for fireworks nears, Plaza Garden Viewing people leave the restaurant and head out to a reserved grassy area (the area labeled with a number 6 on the map above). The view from this location is pretty close to straight on and near enough to clearly see the projections. 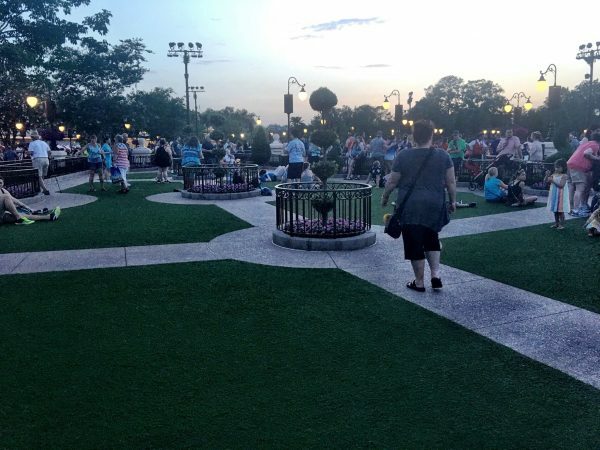 Seating: Guests that book the Plaza Garden Viewing party don't have chairs after they leave the restaurant, however, guests can sit on the faux grass if they want. 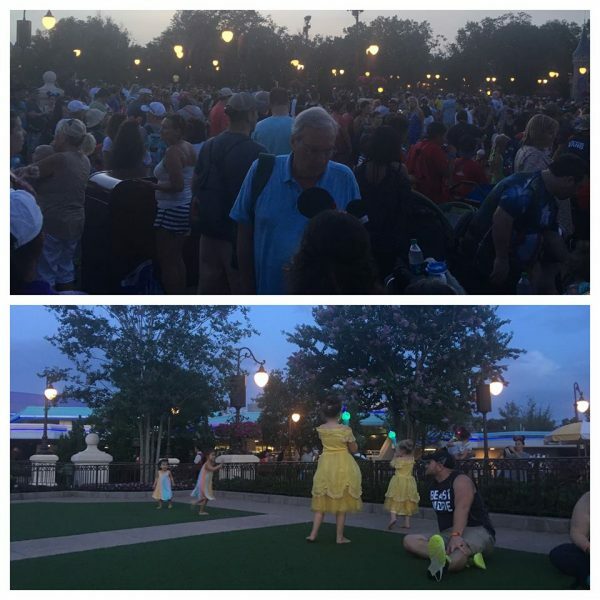 Note: there are sometimes reports that when the crowds for the Plaza Garden Viewing are heavy guests are asked to stand; however, that wasn't the case on our most recent experience. 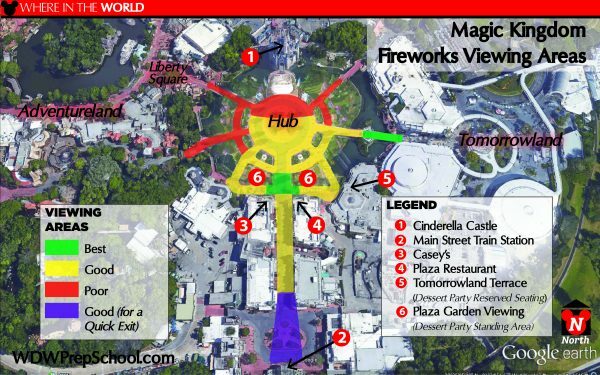 Fireworks view: The After Dessert Party starts in the reserved grassy area (the area labeled with a number 6 on the map above). The view from this location is pretty close to straight on and near enough to clearly see the projections. 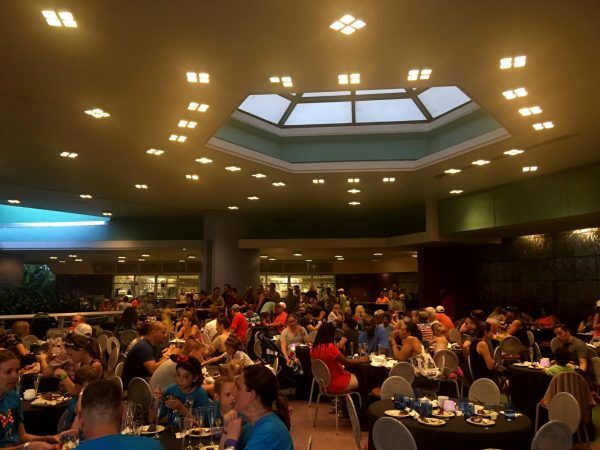 After the fireworks, guests head inside to the Tomorrowland Terrace Restaurant to enjoy the desserts and seating. Fireworks view: The view from this location is slightly off centered, and although the projections are still visible, you may miss some of the details from this angle. Seating: Guests booking this option will have chairs available to sit on while watching the fireworks, although many (if not most) of the people that aren't seated by the rail choose to either stand or to move their chair up closer to the railing that surrounds the restaurant. 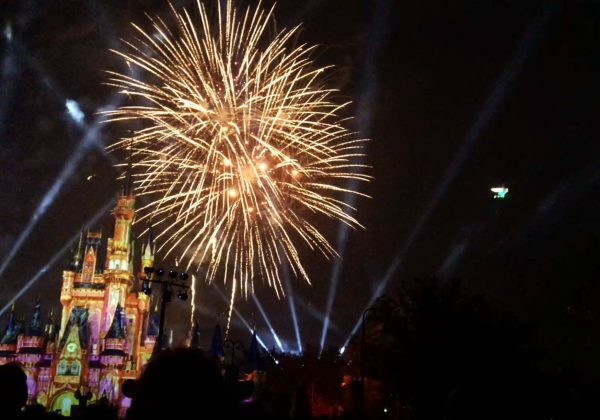 Between the 2 viewing options, the Fireworks Dessert Party with Garden Plaza Viewing provides a much better view and it's cheaper, so we'd highly suggest that if you're interested in booking a dessert party at Magic Kingdom. 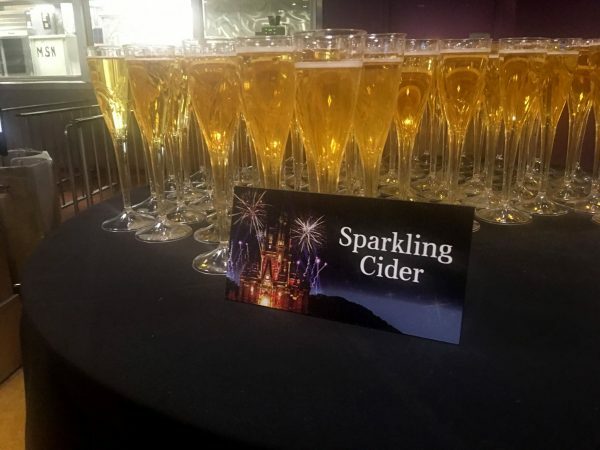 No alcohol is served at the Magic Kingdom dessert parties, but the sparkling cider is still pretty and bubbly. 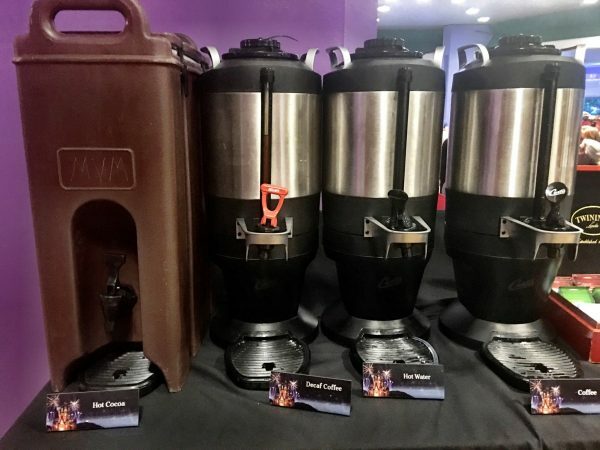 Other drinks include lemonade and water and several hot beverage options like coffee and cocoa. 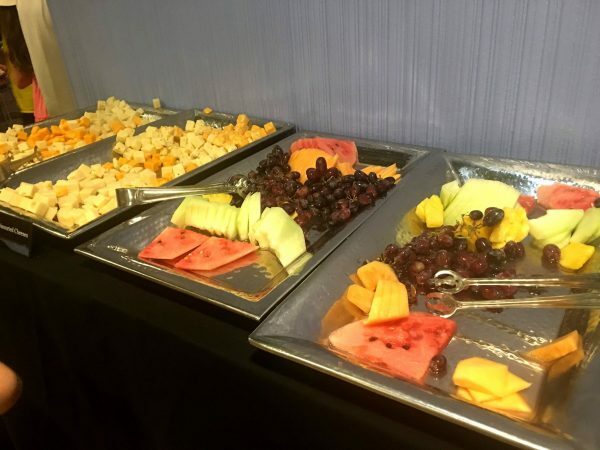 While the dessert choices may vary, there is usually a wide selection that includes pastries, cupcakes, and ice cream as well as some fruit & cheese options. As with most Disney restaurants, there are selections for guests with allergies or other special dietary requests. Just make sure you notify Disney before you arrive and remind a Cast Member when you check in so they can ensure you get items that are safe for you to eat. You can book all three parties online, and like the other dessert parties offered around Walt Disney World, while Disney says you can book up to 180 days in advance, they frequently aren't available until later. If you don't see it open, keep checking! 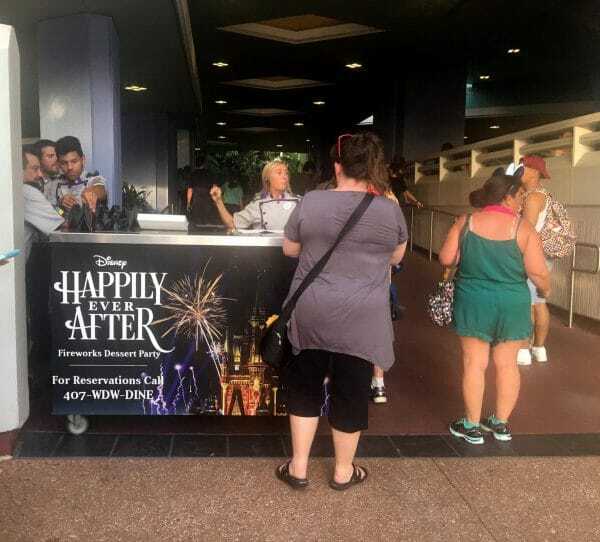 Although Disney will give you a time to check in, you should be there 30 minutes before the time they give you if you want first dibs at desserts and tables. We've found this to be true of all dessert parties. Check in at the cart/kiosk thing located at the restaurant entrance. Garden View Dessert Party attendees sit in the upper part of the restaurant, while Tomorrowland Terrace Dessert Party attendees sit in the lower part. Once you're finished with desserts, you can ask a Cast Member to take you to the garden view area. This is how the garden view area looks when you walk in. See the planters with the topiaries inside? We stood behind and to the side of one of those to decrease the chances of somebody being RIGHT in front of us. The uses of this area and the similar area just on the other side of Main Street can vary. This area is always used for the garden view dessert party, but can sometimes include some standby guests. The area on the other side of Main Street is often available for standby guests, but the ways they use these areas can change from day to day. The photos below are both from about 30 minutes before the fireworks began. Top: the view of the standby area just outside our reserved garden view section. It gets very, very busy out there. Bottom: garden view area where these kids were chasing bubbles barefoot. View of the castle from the Plaza Garden View area. How awesome are those Moana fireworks? And since Tink flies over on this side, you get a pretty good view of her. For some families, yes - especially the Garden Plaza Viewing option. Having chairs to sit at while you dine on desserts and then a large span of reserved space set aside for fireworks viewing makes the hefty price tag associated with the party easier to swallow. If you decide to skip the party you can still find great fireworks viewing locations, you'll just have to fight the crowds. Check the comparison chart below for more info (click the chart to make it larger). Have you tried the Dessert Party at Tomorrowland Terrace? Tell us how you liked it in the comments below. We have a 6pm party time, and the fireworks aren’t until 8. If we are finished with dessert early, could we shop, then get to the VIP seating? Hi, we are going late January of 2019 and doing the garden view. I was wondering what we do with strollers? We will have a 3 year old and an infant. 1) Are there any type of discounts for the parties like AP discount? 2) I don’t understand why the Tomorrowland Terrace viewing option is more expensive. You do get a seat to sit in during the fireworks, but the view isn’t as good as the garden viewing. It doesn’t make sense to me that it is more expensive. Thank you!! I love your site and podcast! 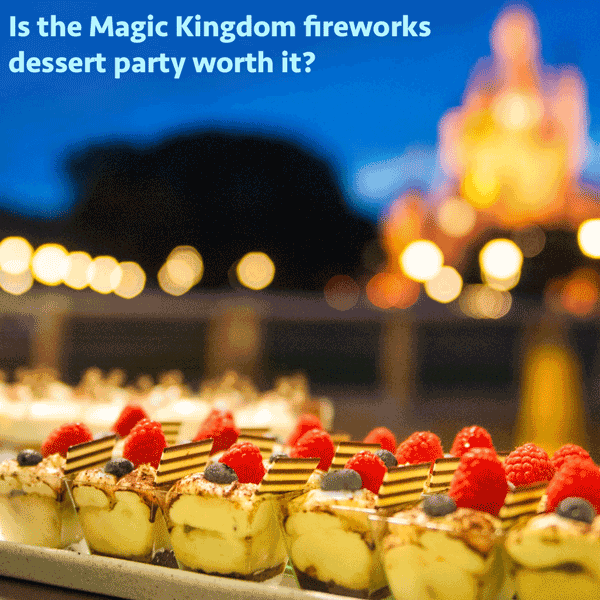 Do you need a valid ticket to the park to attend a dessert party, or is the dessert party ticket sufficient? Example, we have a one-day ticket to Magic Kingdom, but would love to consider the Illuminations dessert party. Could we? You will need to have a ticket to enter the park. This looks really neat, wondering if the fireworks are often cancelled like at Disneyland. Just dipping my toe into looking at planning a summer 2019 trip. No, they aren’t cancelled often like at Disneyland (thankfully!). 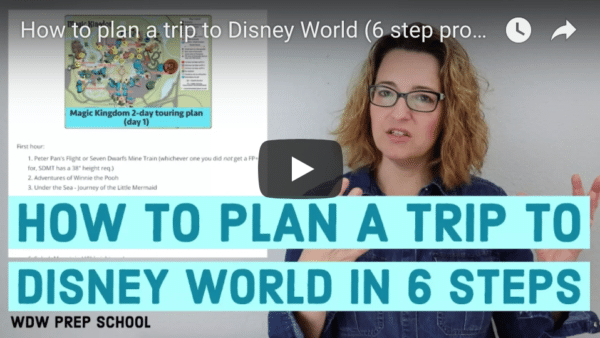 That was a surprising thing I learned when I started traveling to Disneyland since it’s so different at Disney World. The differences are crazy. Like this I never would have guessed it would be different. I appreciate your insight. Our family did the Plaza Garden viewing on the night of January 1. All the food was delicious! 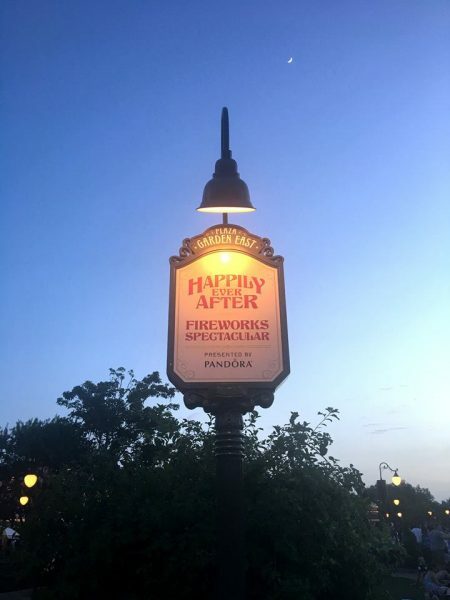 We got there early, and it was suggested to us by a cast member that Plaza Garden Viewing was full that night so the faster we finished eating, the earlier we would get to pick our spot outside. It rained all day that day so the ground was wet. We ended up standing in the center of the area, but closest to the railing. There was a VIP area in front of us, but not many VIPs, so we had the perfect view. Tink didn’t fly that night because it was too windy. You can also get into the area, and leave someone from your party there to save your spot. You have an armband, so they will let you back in. I had to run get my daughter a blanket, and my husband saved our spot. If you are going on a super busy night, I would totally recommend the party!